Afmetingen van deze voorvertoning van het type PNG van dit SVG-bestand: 557 × 600 pixels Andere resoluties: 223 × 240 pixels | 446 × 480 pixels | 713 × 768 pixels | 951 × 1.024 pixels | 1.500 × 1.615 pixels. Verplaatst vanaf de.wikipedia naar Commons door Uwe Dedering. 18 jan 2011 18:10 1.500 × 1.615 (2,36 MB) Uwe Dedering Reverted to version as of 15:50, 17 January 2011 and again, layer structure destroyed, and first discuss this! 17 jan 2011 21:04 1.500 × 1.615 (1,52 MB) AshwiniKalantri The disputed land of Kashmir are shown in a different shade. 22 sep 2010 13:34 1.500 × 1.615 (2,36 MB) BishkekRocks The area north of the Siachen Glacier is also part of Chinese-controlled Kashmir. 31 aug 2010 18:36 1.500 × 1.615 (2,3 MB) Uwe Dedering Coloured Pakistani-controlled parts of Kashmir in dark grey & Chinese-controlled Kashmir also. no reason to treat them differently. 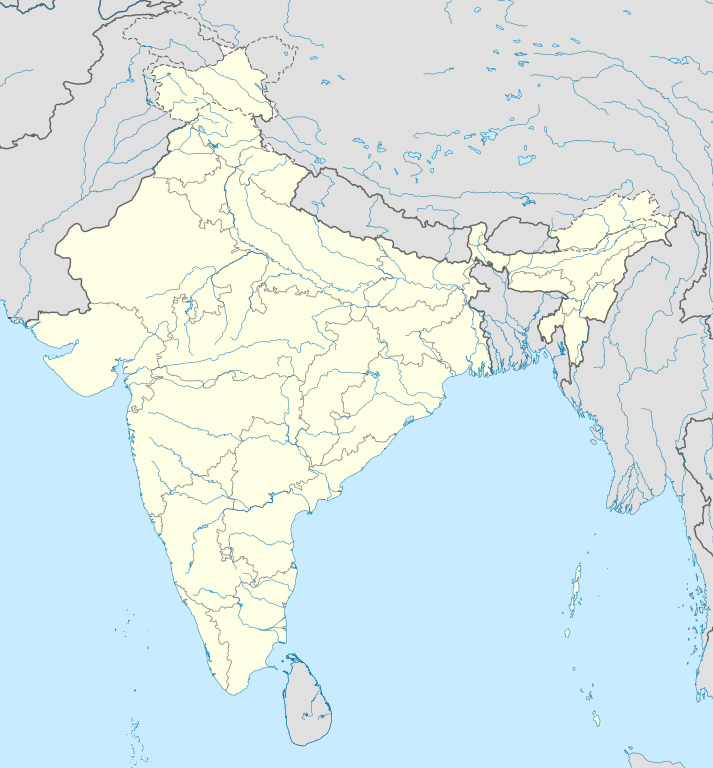 31 aug 2010 13:26 1.500 × 1.615 (2,01 MB) AnonyLog A lighter shade is used for uniformity with other maps of India and Pakistan on Wikipedia.